Under "(Gear Icon) > Users" , you can setup different account users in your account and give them different permissions to the application. 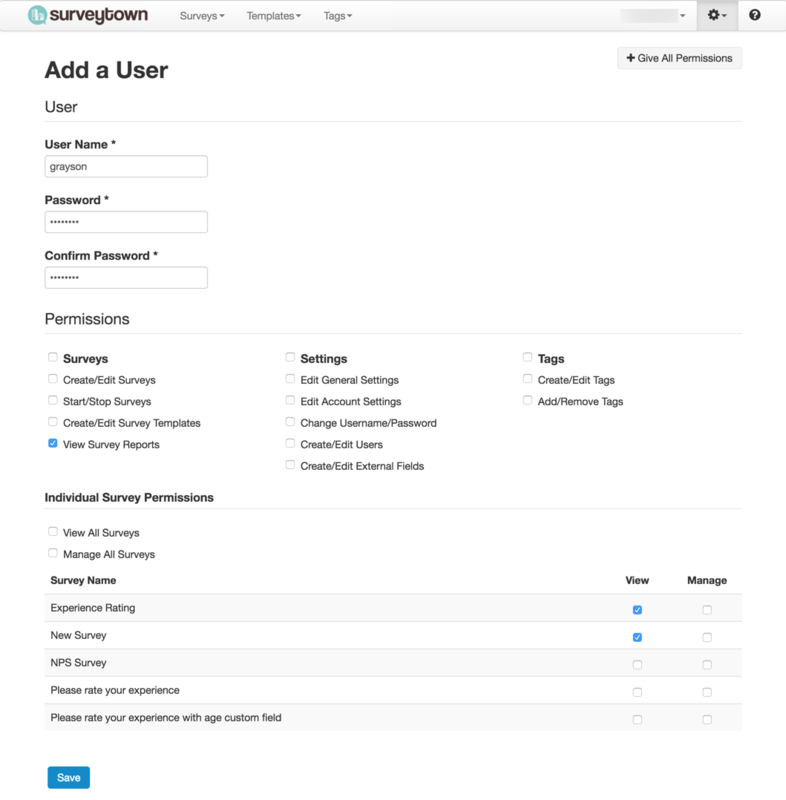 The below screenshot shows a setting up a user called "grayson" that only has permission to view survey reports for two of the five survey in the account. When the user "grayson" logs in, they will see a much more limited view of the application, where they will only be able to view the reports for those surveys. You can see a screen of that below.